Located in Doncaster East, Donburn Primary School opened in 1973 and for over 40 years has prided itself on setting the highest standards of education and values, as demonstrated by our motto "Learning for Living". Along with a comprehensive learning program, including English, Maths, Science, Technology, The Arts, Language, Health & Physical Education & Social Studies, Donburn Primary School also offers outdoor sports facilities including 2 basketball courts, several bat tennis courts and a large multipurpose sports oval with running track and fitness stations. 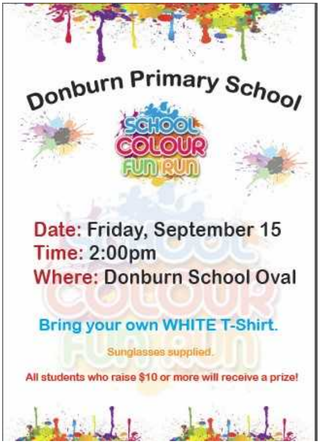 On behalf of the school community I extend a warm welcome to your family as your child/children commence or continue their education at Donburn Primary School. The school’s focus is on providing a nurturing environment in which individual students are valued and encouraged to develop the highest standards in personal and academic achievement. The school strives to meet individual needs of students, catering for those who require special assistance and fostering special talents and interests. The school fosters the students’ desire to learn by stimulating their curiosity and developing relevant learning activities directly related to school interests.